Two days ago, the Filipino president had met with the president of the Bishops’ Conference, promising to abstain from inappropriate comments. On several public occasions, he has criticised the Church using violent and often vulgar language. Three days after questioning the story of Genesis and calling God "stupid", he set up a governmental commission for dialogue. Manila (AsiaNews) – One day after accepting a moratorium on anti-Church statements, Rodrigo Duterte (pictured) warned religious leaders against using the pulpit to express criticism against him. Speaking at a business summit yesterday in Pampanga, Central Luzon, the president claimed that his God is not the one worshiped by his critics but the one worshipped by the Filipinos who voted for him. During his address, he also threatened to “kill” those who use God to strike at him and stressed that nobody could impose their views about the Almighty on him. Only the day before, he had met with Mgr Romulo Valles, archbishop of Davao and president of the Catholic Bishops’ Conference of the Philippines (CBCP). During the meeting, the president had promised to refrain from attacking the Church. On previous occasions, Duterte publicly criticised the Catholic Church using violent and often vulgar language. Since his election, bishops and priests have censured some of the government policies, such as the bloody war on drugs, which has caused over 4,000 official deaths, and the imposition of martial law in Mindanao. 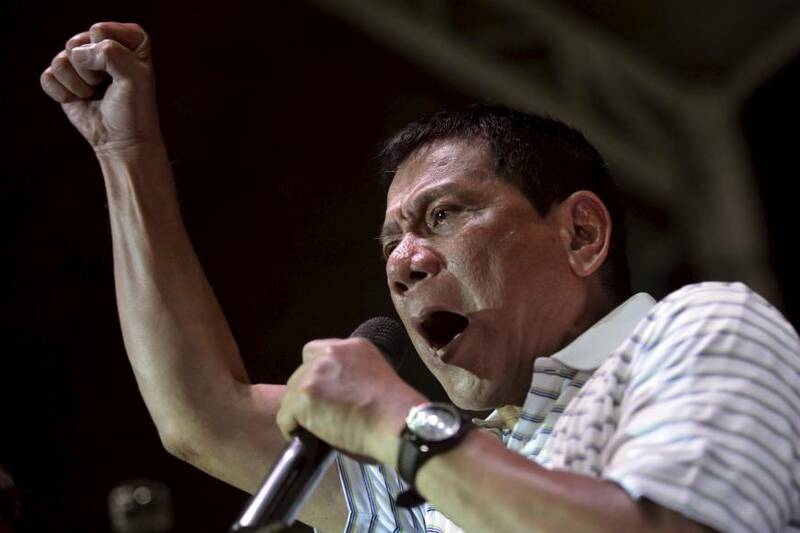 On 24 June, Duterte questioned the story of Genesis and called God "stupid", for allowing the temptation to corrupt his creation. The next day, he made it clear that he was not talking about his God and was instead insulting the God of his critics. "Mine has a lot of common sense," said the president whose utterances have outraged large segments of the population, earning him accusations of blasphemy. The Philippines has Asia’s largest number of Catholics. Christians represent about 90 per cent of the population. Out of almost 105 million, 83.6 are in communion with Rome. About 10 million are Protestants and about 820,000 belong to other Christian denominations. After the controversy broke out, the government announced on 27 June the establishment of a Commission for dialogue with the Catholic Church and other religious denominations. In today's statement, Duterte notes that his comments yesterday were not directed against the bishops, arguing nevertheless that the moratorium on anti-Church remarks would not prevent him from expressing his views. “I’m not attacking the Church. What I said (was) if you use religion as a format, and I was not referring to any religion, you will see that I did not mention any religion,” he added.